(29 November 2015 - Hong Kong) Ocean Park hosted the International Day of Disabled Persons (IDDP) – Ocean Park Fun Day 2015 for the 23rd consecutive year, receiving 8,000 guests with disabilities, their friends and families from 18 districts in Hong Kong on 22 and 29 November. Following the opening ceremony held on 22 November, the annual event ended today with remarkable success. The Park collaborated with The Hong Kong Society for the Deaf to arrange sign interpretation at the opening ceremony and various attractions including Ocean Theatre, Amazing Bird Theatre and Whiskers Theatre, so that guests with impaired hearing could enjoy the Park’s spectacular performances and learn about conservation knowledge. To aid guests with special needs to enjoy the Park’s facilities, the Queue Assistance Programme was launched in August last year. Under the programme, a Care Card will be given to any guest who is unable to wait in a long queue due to special health conditions, enabling the guest to gain priority access to the Park’s rides and attractions. Over 2,000 guests with special needs have been benefited from this special arrangement since its launch. 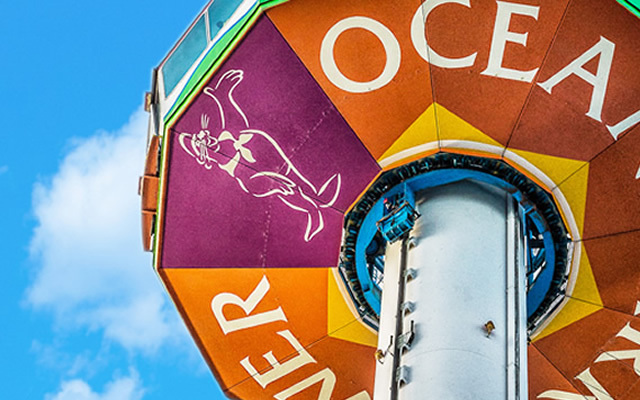 Ocean Park has been attaching great importance to guest experience. The Park makes constant effort to improve its in-Park facilities and services to ensure all guests can fully enjoy their visit to the Park. Ocean Park’s Senior Guest Services Manager Tammy Kong said, “A while ago, a guest once expressed that he was unable to endure a long waiting time due to his health condition and sought our assistance to gain priority access to the Park’s facilities. We then made special arrangements for him and his family after considering his situation. This prompted us to conduct internal reviews and further research.” She continued, “In August last year, we launched the Queue Assistance Programme, enabling guests who have special needs to gain priority access to the Park’s facilities, thus shortening their queuing time.” Since its launch last year, the programme has assisted over 2,000 guests with special needs. Guests who are in need can contact the Park’s Guest Relations office and the Park will offer assistance in view of individual circumstances. For the third consecutive year, Ocean Park organised the Ocean Park Selective Placement Trainee Programme, a nine-month training and internship programme for persons with disabilities. By joining the programme, participants were given a chance to acquire vocational skills and knowledge necessary for integrating into society. Being a pioneer in encouraging social integration for persons with disabilities, Ocean Park also provides reasonable adjustment in the workplace to enable them to work at the Park. The Park’s effort in being a responsible corporate citizen has brought the award of the Touching CSR Award 2014 from The Association of Distinguished Corporation earlier in September this year.